An amazing salute to a rapidly disappearing group of living military veterans occurred on Friday May 8, 2015, when the world witnessed the Arsenal of Democracy: World War II Victory Capitol Flyover (henceforth known here as the “Flyover”). 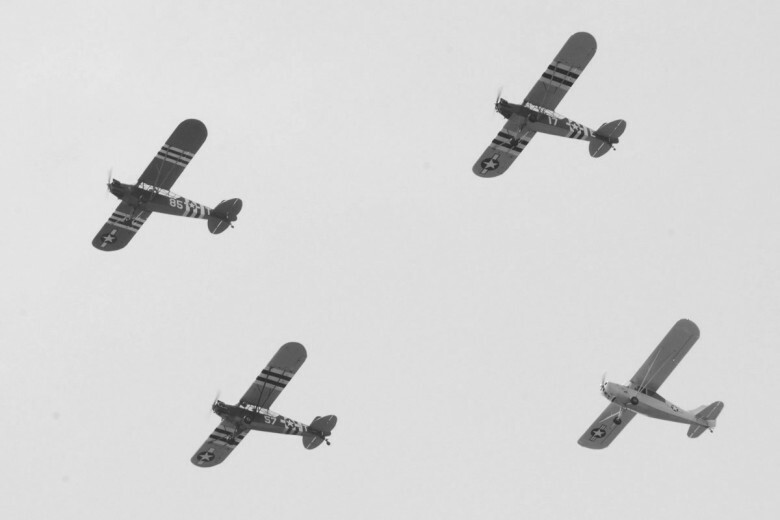 As part of a ceremony that commemorated the 70th anniversary of Victory in Europe Day (VE Day), the Flyover contained examples of American warplanes which served across the globe and at home during World War II. 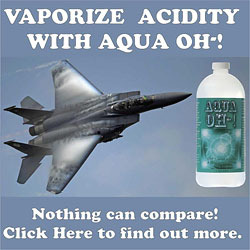 Fifty seven warbirds paraded in and around some of the most heavily restricted airspace in the United States of America, passing just south of the National World War II Memorial in Washington DC, where the ceremony took place. 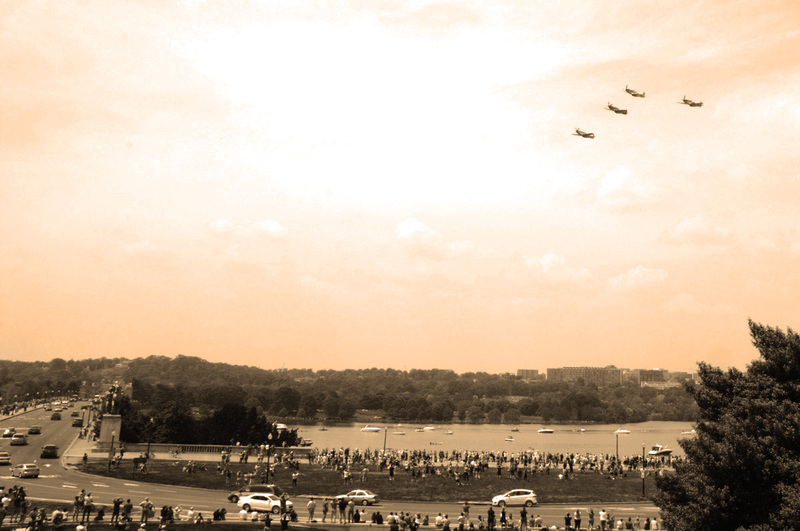 The ground event was co-hosted by the non-profit Friends of the National World War II Memorial and the National Park Service; the non-profit Arsenal of Democracy: World War II Capitol Flyover organization provided oversight for the parade of flight that would be part of the overall experience. Importantly, the event was sponsored and presented by a civilian coalition of Government and private concerns, not a military-directed event (although there was plenty of active service members present). 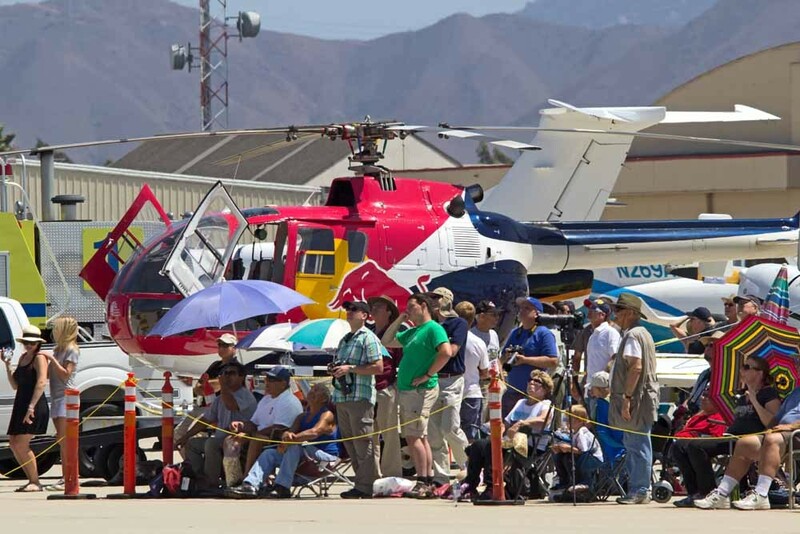 A broad spectrum of corporate America, including industry, museums, and even air traffic control came together to manage and sponsor the flying portion of the event, unlike any other in recent history. 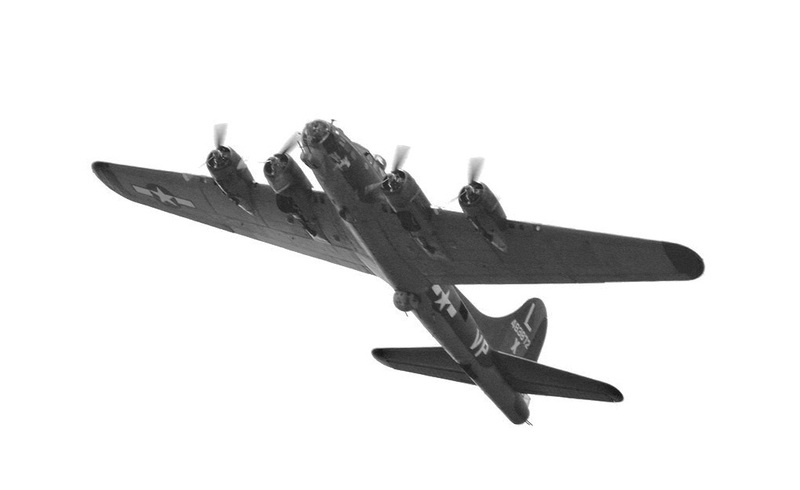 According to a press release from the Flyover organizers, over 400 World War II veterans attended the commemoration in person. The ceremony and the eagerly awaited Flyover were broadcast around the world … a friend of mine received a text from the U.K. asking him if he was at the event, as the ceremony was being simultaneously broadcast on the BBC “over there”. 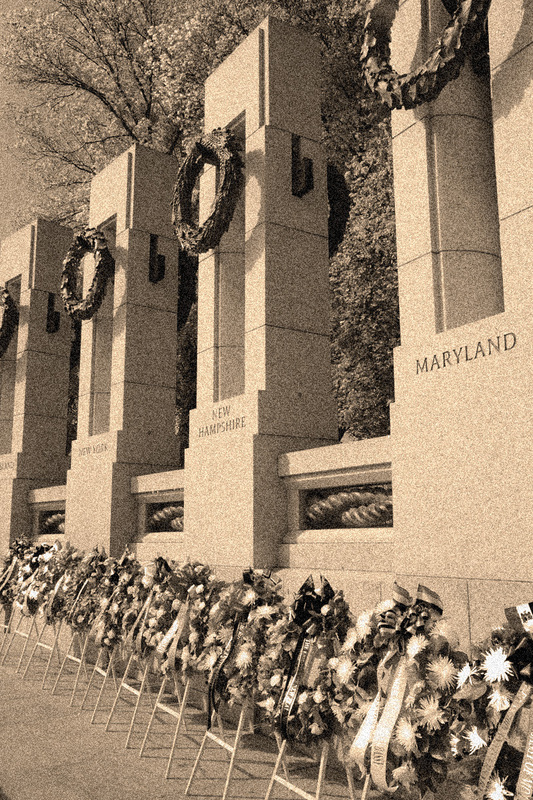 The importance of the live video coverage centered around the fact that most living World War II veterans are at least 90 years old and many have mobility issues, so the ceremony was broadcast for their benefit so they could see and listen to the sights and sounds of the commemoration. 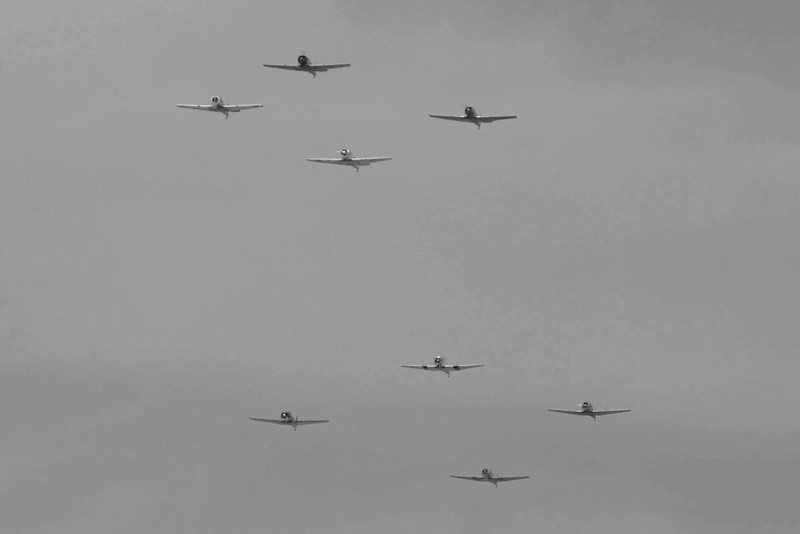 The parade of warbirds was divided into fifteen flights that represented significant events or campaigns during the War. Warbird types were chosen by and large to represent models that played a significant role in the aerial portion of each event/campaign. 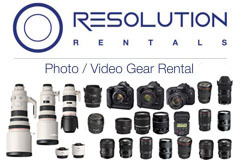 Here are these fifteen stages in photographs and captions. 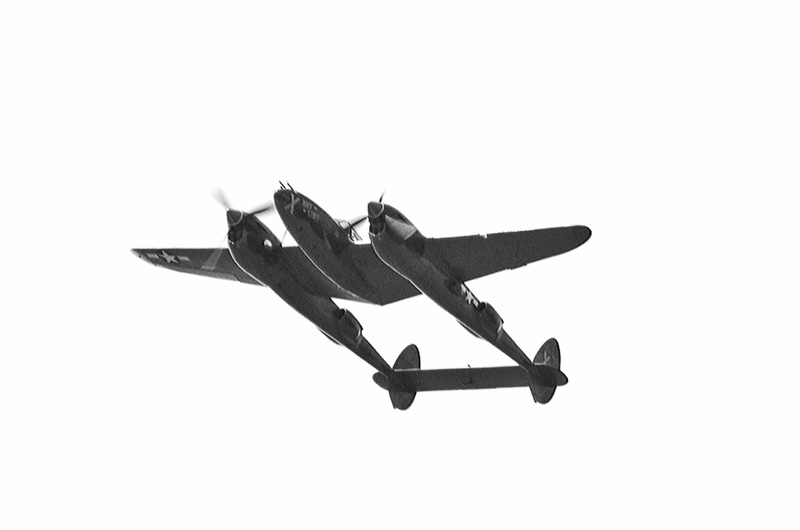 The order in which the formations appear (from top to bottom) is the same order as they flew overhead. 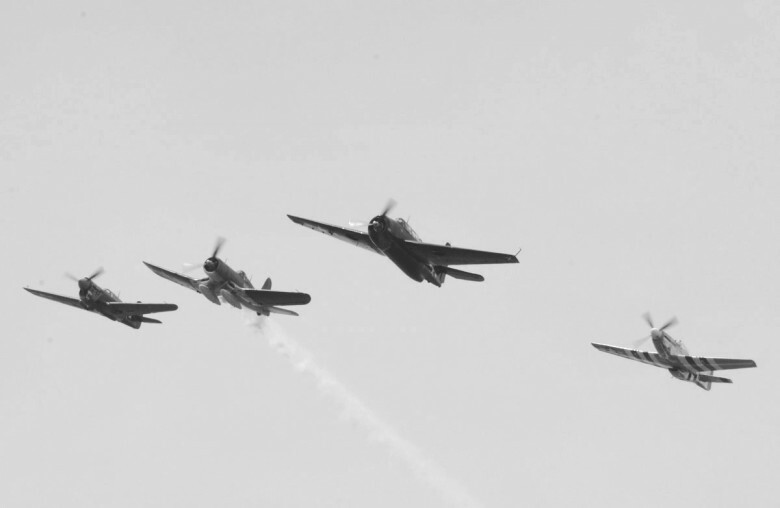 The “Trainer Formation Pass in Review” included 4 L-4/L-16s, a pair of L-5 Sentinels, 6 PT-17/N2S Stearmans, 2 PT-19 Cornells, 8 T-6 Texans and SNJs, and a Beech C-45 Expeditor. 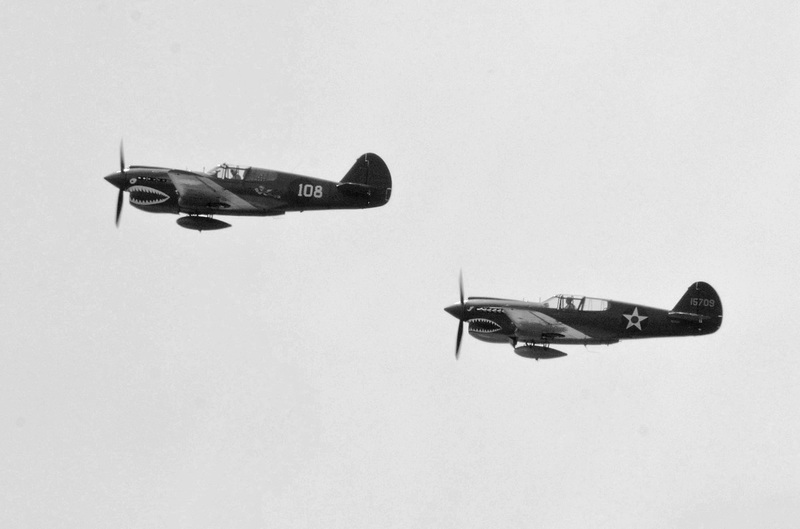 The next formation contained a pair of Curtiss P-40 fighters for the Pearl Harbor/Flying Tigers tribute. 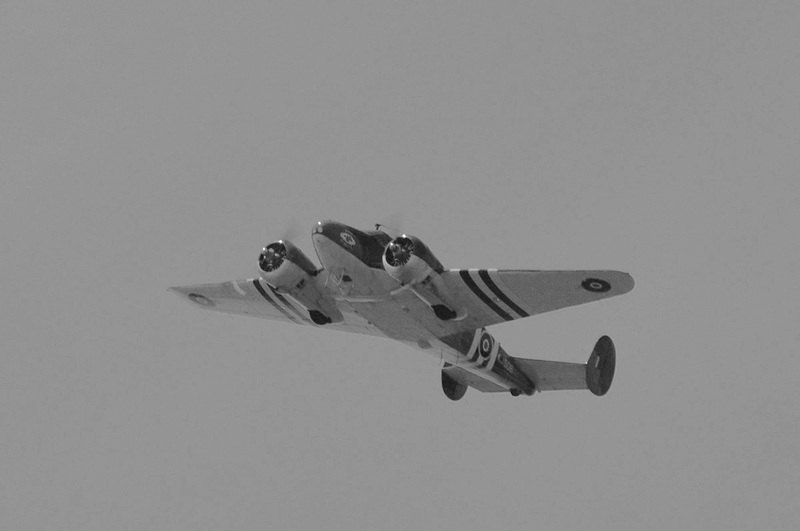 1942’s Doolittle Raid on Japan was portrayed with a pair of B-25s and a PBJ. 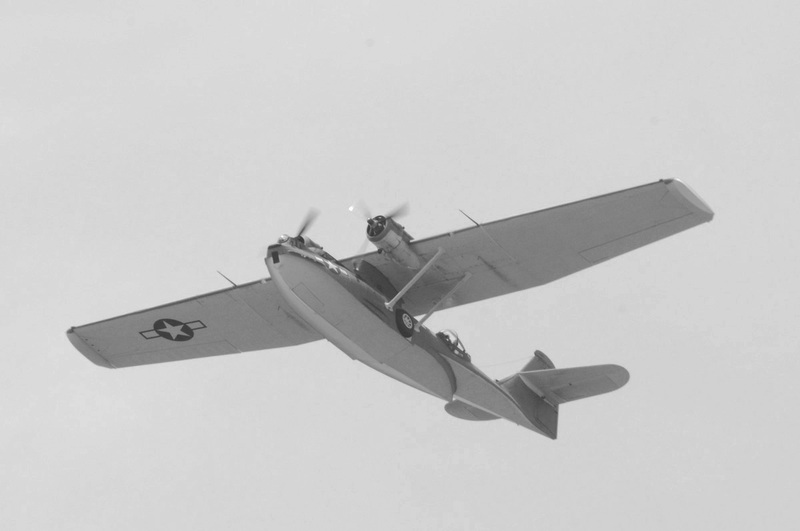 The Battle of Midway was portrayed with a PBY Catalina representing “Strawberry 5”, followed by a FM-2 Wildcat fighter and SBD Dauntless dive bomber. 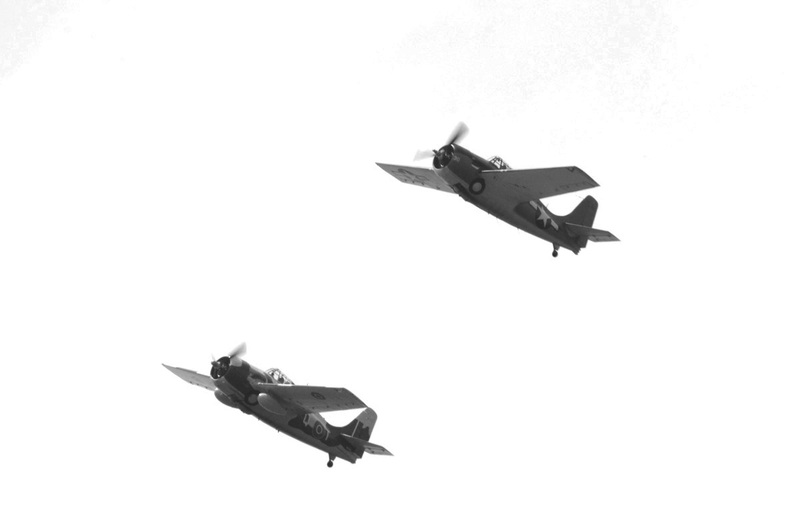 A pair of FM-2 Wildcats followed, representative of the Marine and Navy fighters used during the Guadalcanal Campaign. A lone P-38 Lightning signified the long-range mission that ambushed Japanese Admiral Yamamoto in 1943. 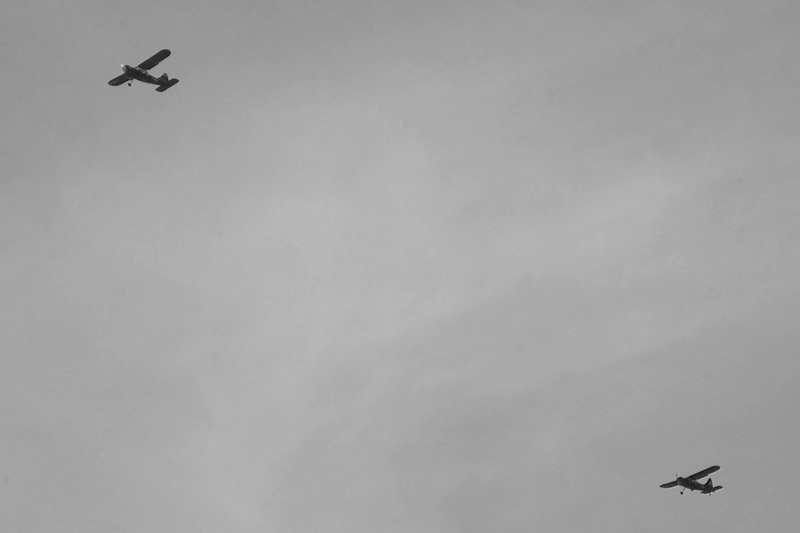 The Commemorative Air Force’s B-24 Liberator represented those who fought on the infamous Ploesti Raid, and were followed by 3 P-51 escorts. 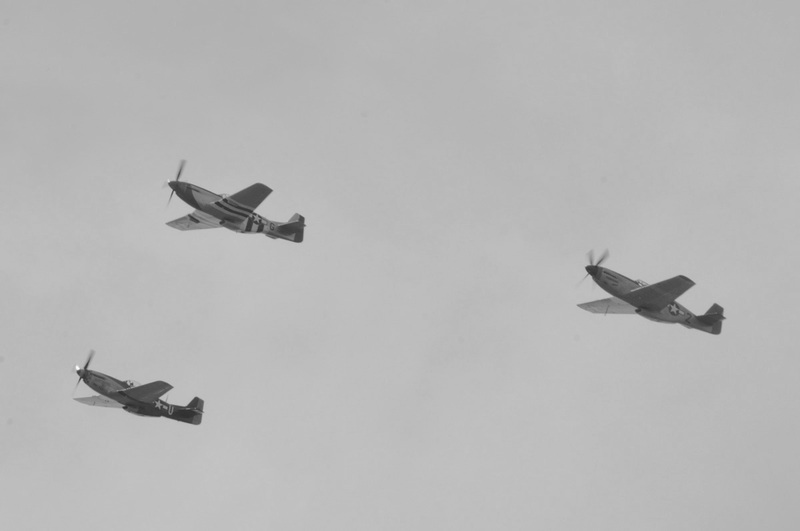 A quartet of P-51s followed to signify more “Little Friends”, the fighter escorts that accompanied and protected the heavy bombers on their raids in Europe. 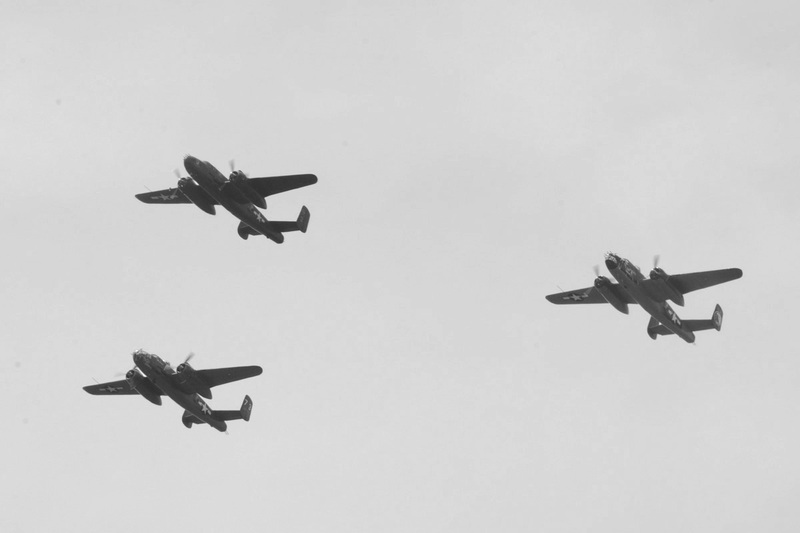 A pair of B-17 bombers followed the fighters, signifying the “Big Week” of strategic bombing during February, 1944. 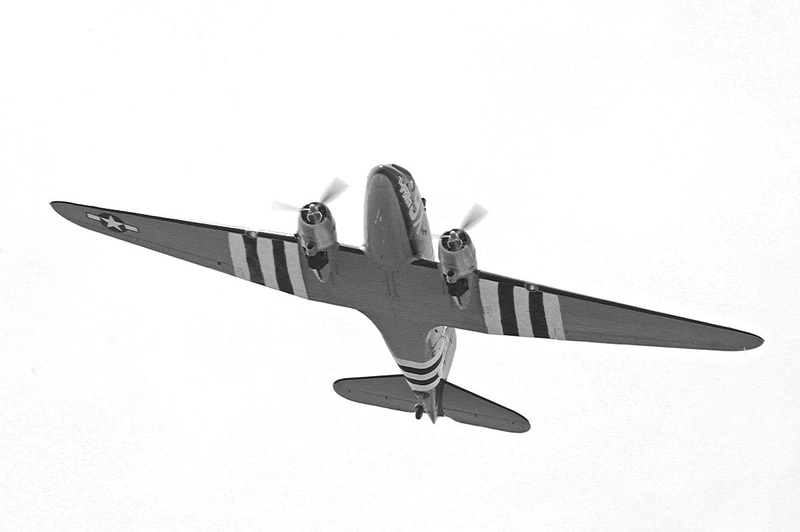 A pair of transports… a C-47 and a C-53, represented D-Day, and heroic American paratroopers. 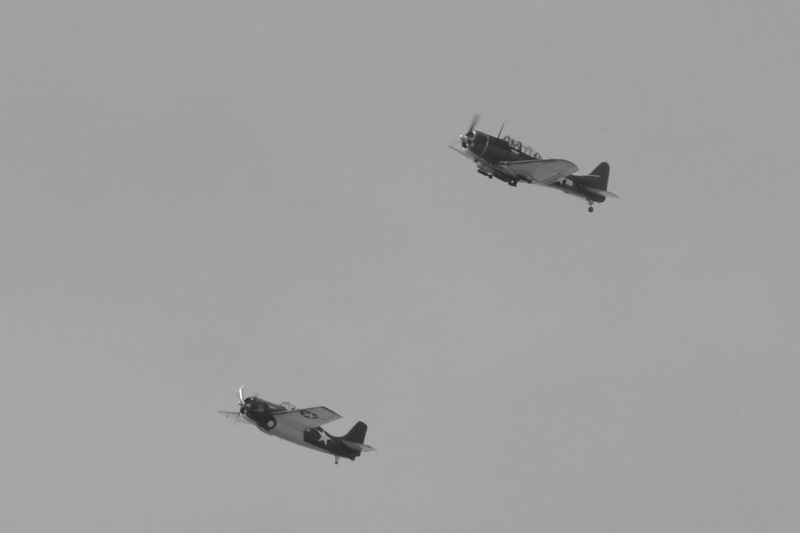 A formation of 2 TBM Avengers and a Curtiss SB2C Helldiver represented the Marianas Turkey Shoot and the Battle of Leyte Gulf. 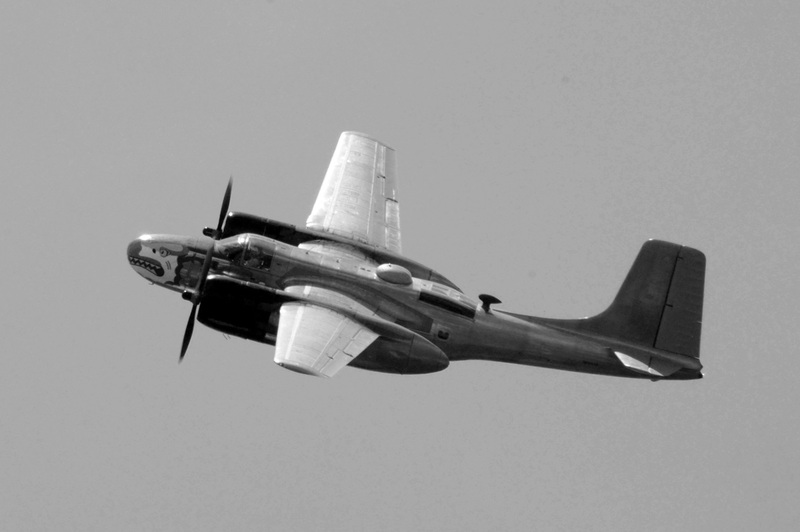 The Battle of the Bulge was represented by a Douglas A-26 Invader. 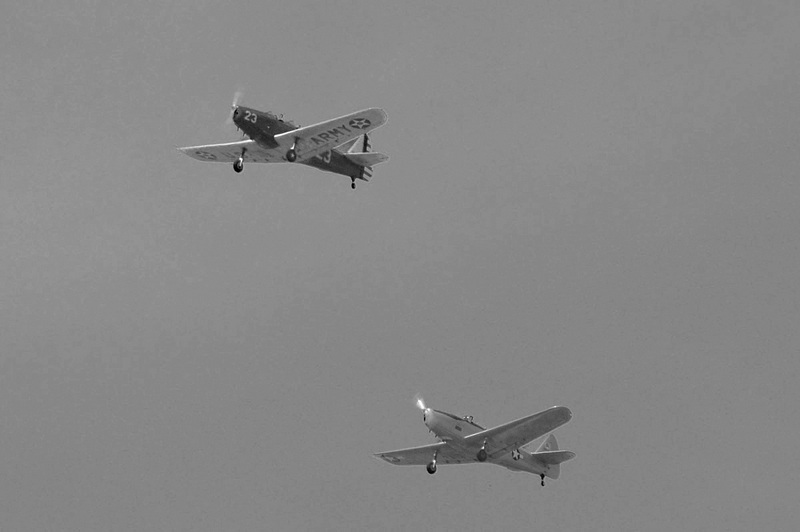 The battle for Iwo Jima was signified by a pair of FG-1D Corsairs. 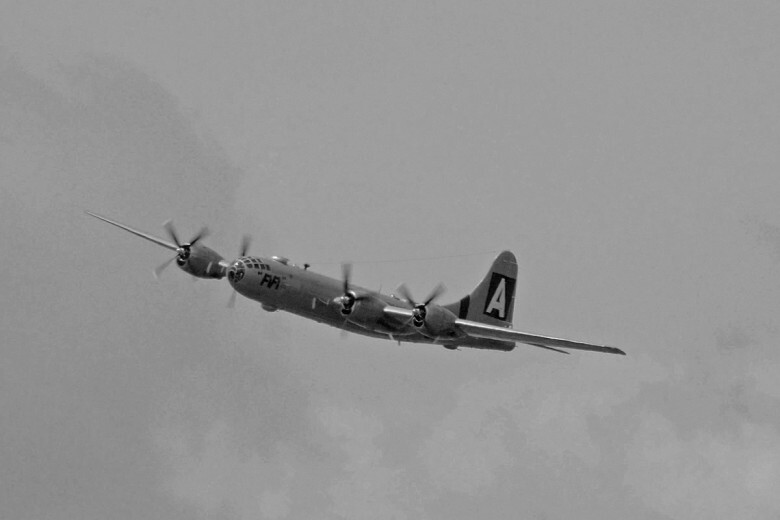 The Commemorative Air Force’s B-29 represented the “Final Air Offensive to Defeat Japan”. 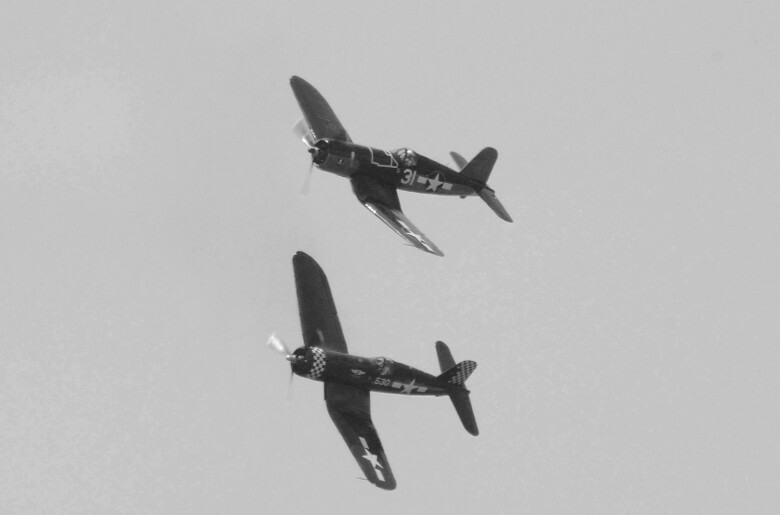 The finale to the parade was a four-ship Missing Man Formation flown by the Texas Flying Legends Museum with a P-40, FG-1D, TBM, and P-51. The Corsair pitched up shortly after this photo was taken. In order to fly so close to monuments and government buildings, a myriad of rules and regulations had to be interpreted and followed. Air traffic in the area on a normal day includes arrivals/departures from the nearby Reagan National Airport, plus military/government helicopters that fly ultra-low altitude routes over the Potomac River between the White House, Pentagon, and other helipads in and around the District of Columbia. 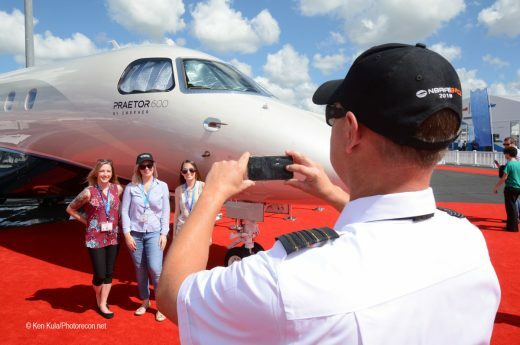 In the words of the organizers: “The Flyover has been months in the planning, and event organizers have worked closely with the Federal Aviation Administration, the Transportation Security Administration, the National Park Service, the U.S. Capitol Police, and the U.S. Secret Service. 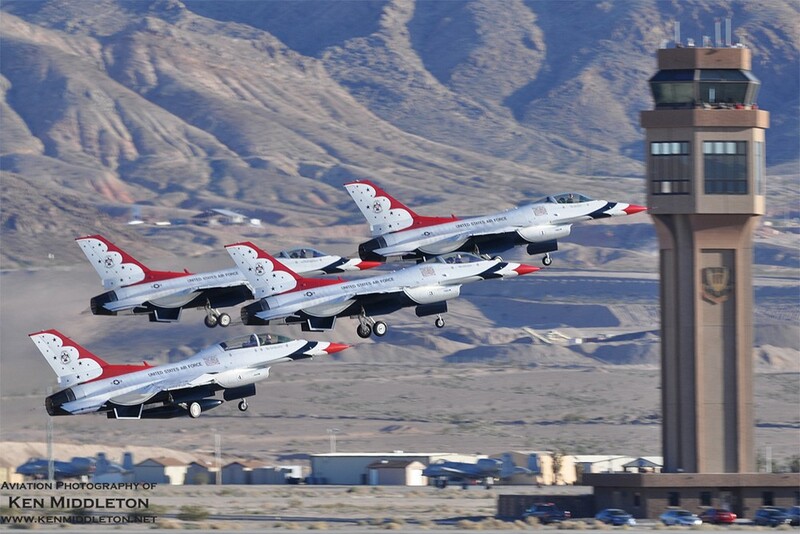 On March 18, the Flyover completed a successful practice flight with a single plane. 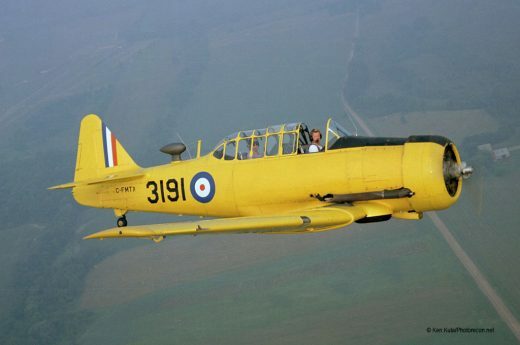 Also in March, the FAA granted the necessary approvals for the Flyover to take place, noting “the educational and historic value of this single signature event in commemorating this significant milestone in history.” The Reagan National Airport was closed to commercial traffic for almost an hour as the Flyover proceeded nearby, but a TBM Avenger that was part of the Flyover successfully diverted to the airport with a mechanical issue. 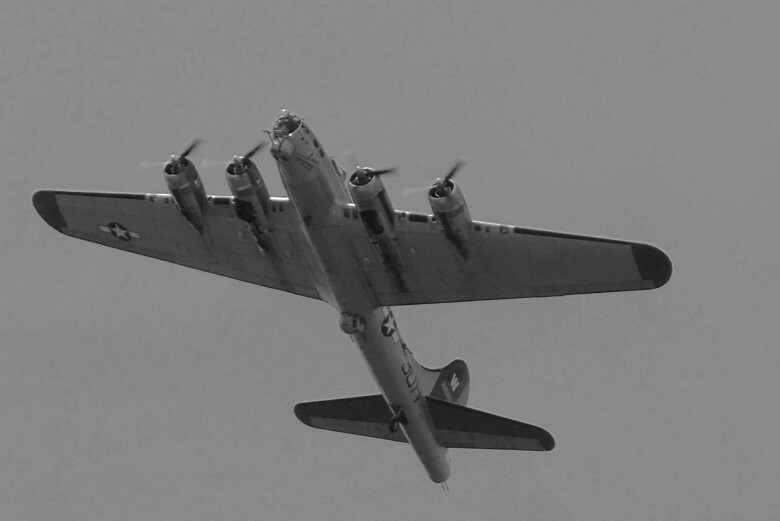 The bomber departed later that afternoon for Culpeper. 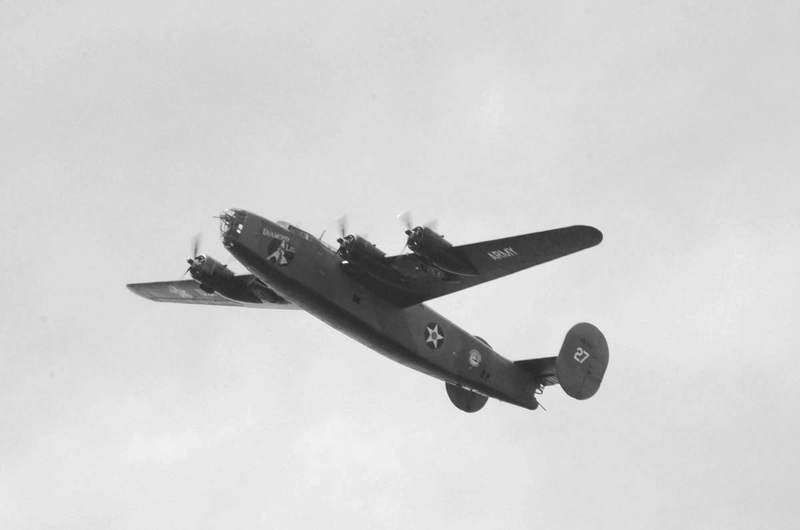 The parade of flight began from two nearby Virginia airports; Manassas for the four heavy bombers, and Culpeper for the remainder of the participants. Holding to the northwest of the nation’s capital city, each element departed the VFR marshaling area and followed the Potomac River southbound until abeam the Lincoln Memorial, where they turned left and flew just south of Independence Avenue (and the National Mall) towards the Capitol Building. 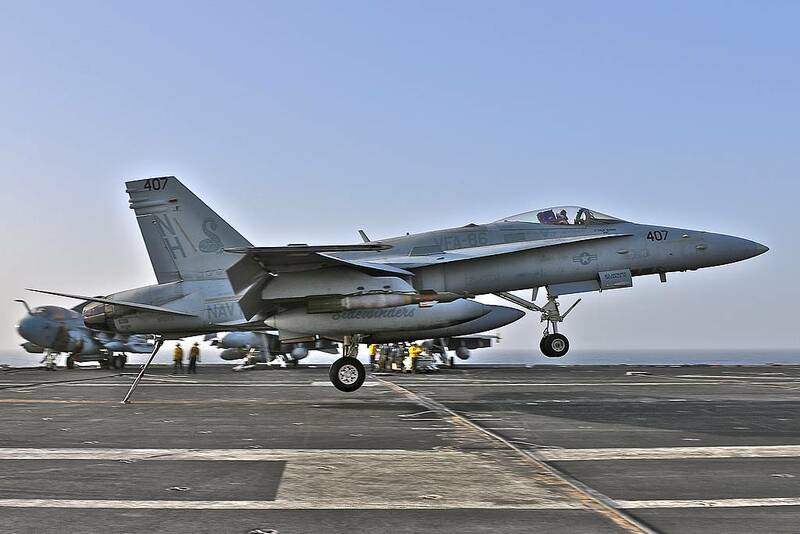 Passing a few blocks south of the Capitol, the pilots then banked right and exited the area, flying close to Washington’s Reagan airport on their way back to their bases in Virginia. What was more spectacular than just the route of flight was what altitude they had to be at… 2000 feet above the Potomac until they passed a bridge a few miles northwest of the Lincoln Memorial. From there, they descended to 1000 feet above the ground, where they remained while passing the monuments on their left and right (Lincoln Memorial, Jefferson Memorial, Washington Monument [at 555 feet high!] and the Capitol). A climb up to 1500 feet was initiated after leaving the National Mall area. Each of the fifteen elements of the Flyover had an assigned time to be overhead the bridge before beginning their descent to 1000 feet, and in true military precision, timing was “to the minute” so as not to interfere with the previous or following groups. 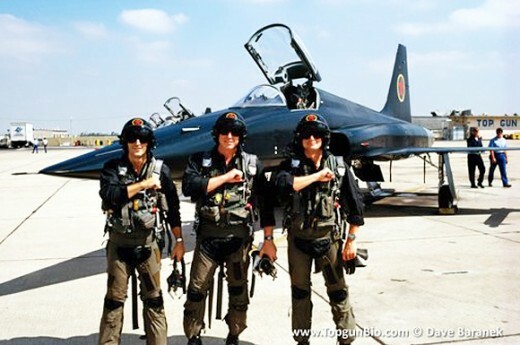 Pilots and crewmembers participating in this thrilling Flyover were proud to be there. 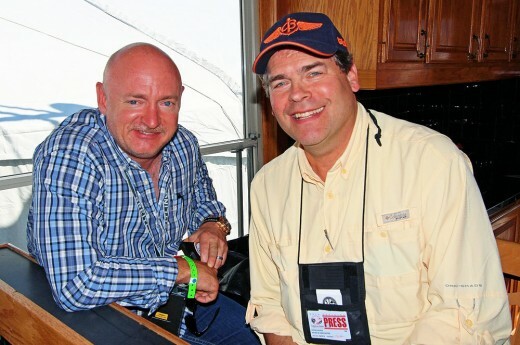 “It was great to experience this historic event” said Mark Murphy, pilot of the Texas Flying Legends Museum’s (TFLM) P-51 Mustang. “Someone said, If we did not have history we would not know where we have been. If we do not know where we have been, we do not know where we are going. 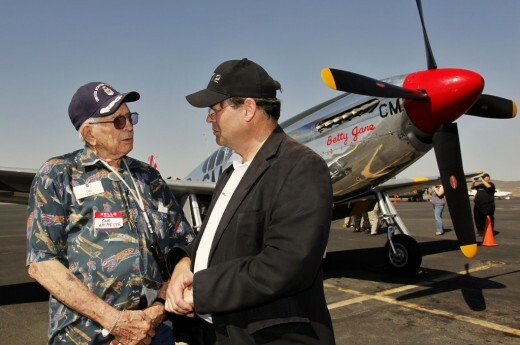 It was exciting to have a part in honoring our veterans.” Congressman Sam Graves, who was instrumental in gaining Congressional approval for the Flyover, also piloted the TFLM’s TBM Avenger. 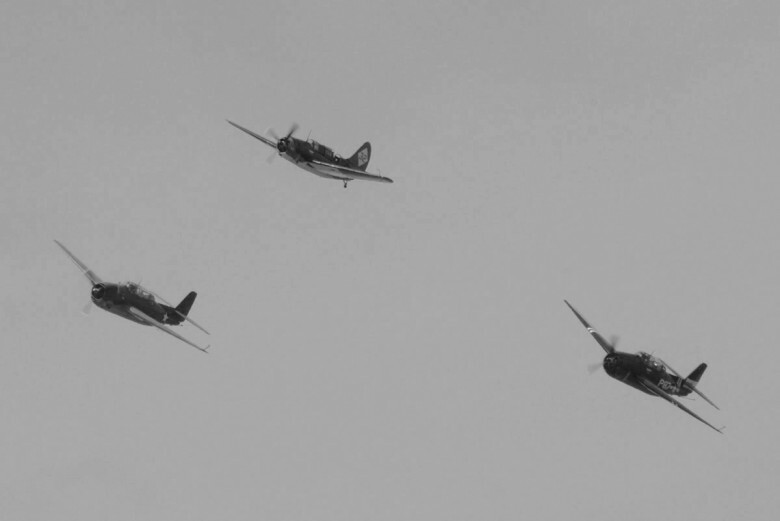 Congressman Graves led the four-ship Missing Man Formation at the end of the Flyover, and he offered these words afterwards: “Flying over our Nation’s capital with the TFLM was one of the proudest moments I’ve ever experienced. 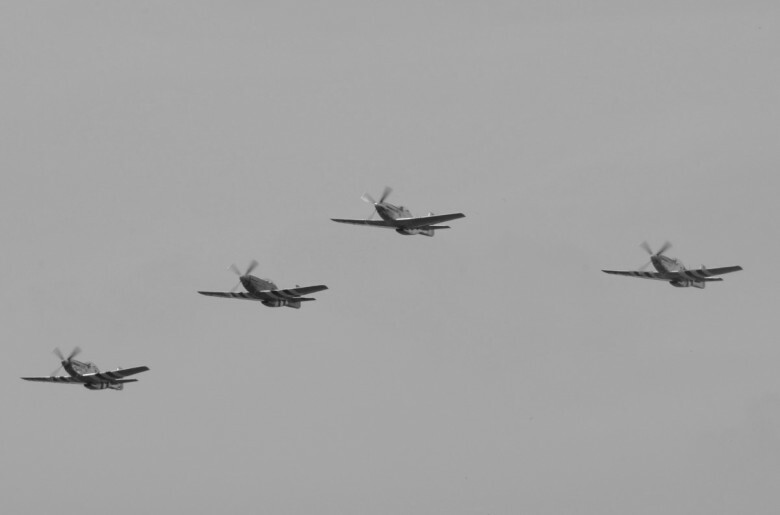 It was particularly moving for me because I work in the capital and I knew it was a proud honor when TFLM was asked to do the missing man formation in tribute to our fallen”. 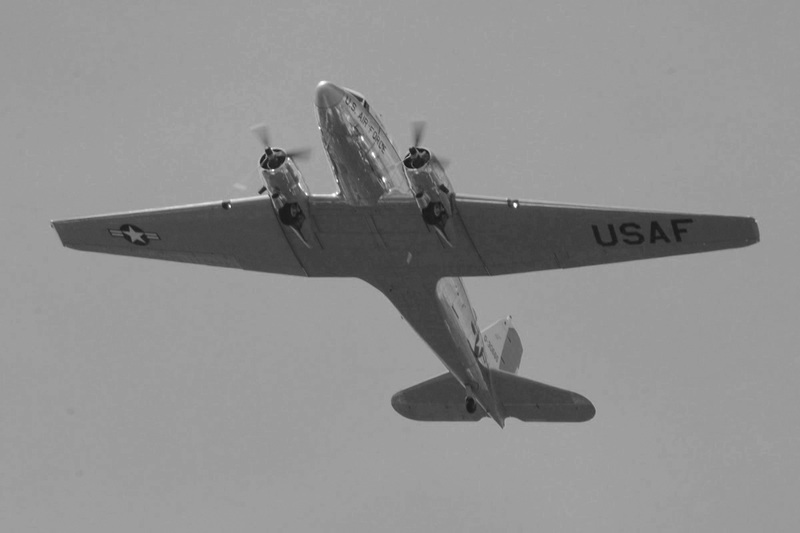 For almost 45 minutes, the stream of warbirds provided sights and sounds of a bygone era. A few of the spectators lived and even fought during the events that these aircraft represented. 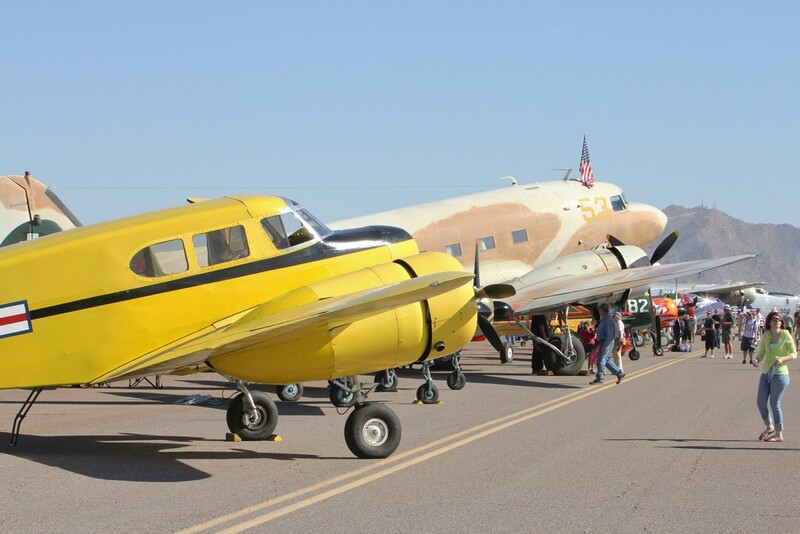 Others had never paid any attention to the civilian-operated planes until now… and received quite an education. 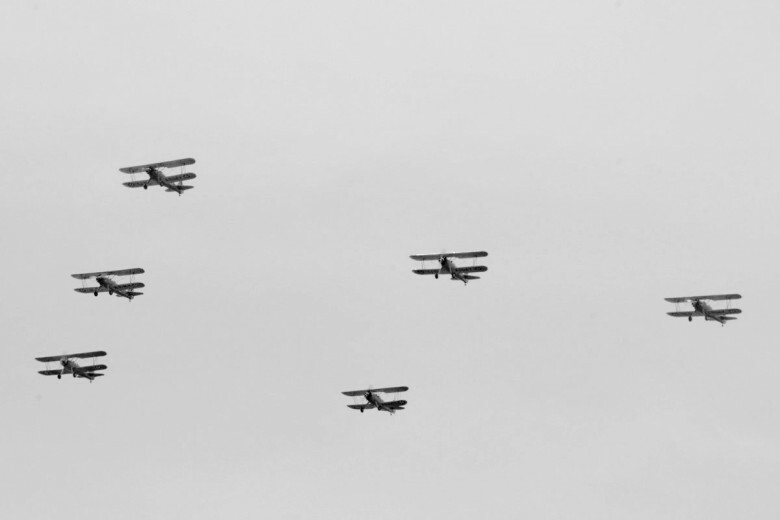 Many stood in awe watching the aerial parade, not realizing how much coordination and communication had taken place to allow it to happen. A parade of flight over downtown DC hadn’t occurred in decades, since the Operation Desert Storm victory parade in 1991 – and that was an all-military affair, not a civilian sponsored event. 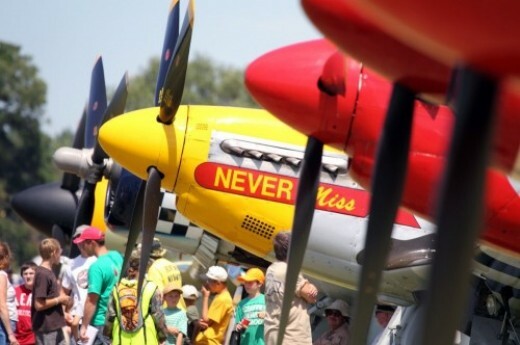 People were already talking about a possible 75th anniversary event 5 years from now; most of the civilian-owned and operated planes and their pilots… as well as the corporate sponsorship… should still be available. In the same breath though, people wondered aloud about how many World War II veterans will still be alive in 2020? For the moment, the safe and successful accomplishment of the Flyover in Washington DC should be remembered as a high water mark for coordination and communication, and a splendid effort by some of the warbird community to honor both living and deceased World War II veterans. Whether there’ll be a similar event in the future or not, only time will tell. 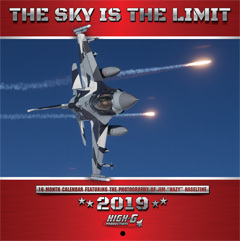 Special thanks to Mary Lynn Rynkiewicz and company for the Flyover media releases, and to Lee Ann Crain of the Texas Flying Legends Museum for obtaining the thoughts and words from Mark Murphy and Congressman Sam Graves.